What is Conquest & Challenge? Conquest & Challenge are Catholic Youth Ministry programs for boys and girls in 5th – 12th grade to grow in knowledge of their Catholic faith, friendship with Christ, and make a difference and positive impact on their families, friends and in the world around them. Conquest & Challenge are proven to be a successful youth ministry option for the past 15 years in the US and Canada. They are currently present in over 250 parishes & schools with over 6,500 youth every week, led by 300 adult leaders and 700 teen leaders. Offering over 45 summer camps with 2,000 campers every year. Conquest and Challenge strive to offer effective methods & materials in Catholic Youth Ministry for families, parishes and schools, helping youth 5th – 12th grade to know and love Christ with real friendship; the Pope and Church with loyalty; Mary as a son; and every person with genuine respect and charity. Conquest and Challenge try to teach the teens how to follow Christ’s example and live authentic Christian virtues such as friendship, sincerity, obedience, generosity, purity, charity, hope, joy, faith and perseverance. Conquest also offers virtue leadership for boys K-4th grade in the Father & Son Leadership Groups and Junior Leadership Groups. Having trouble listening to the audio? Download it here. Brian was very happy and energetic, enthusiastically fulfilling his responsibilities and loved the school. He learned to deal with his impatience, pride and other vices in this atmosphere. He had a great love and respect for his superiors who were guiding him along the path to holiness. He made many friends among his fellow schoolmates, and he discovered one very special friend, Jesus Christ. This friendship became the focal point of Brian’s life. Brian completed High school at the age of 16. With the help of his superiors, he discerned that God was calling him to the lay vocation in which he could help boys and young men to develop into young Catholic leaders who would bring Christ to the modern world. When he returned home he met with his friends that he had left a few years prior, and realized that many had succumb to the secular enticements of the world. He wanted more than anything to share his joy in what he had found; a personal friendship with Christ. His upmost desire was for them to receive the gift of faith formation that he had received in the minor seminary. He began getting them together to play sports, a common thread and activity that all enjoyed. He introduced them to Gospel reflections and to his friend Jesus Christ and the first youth program was born. He volunteered to work with a priest who was serving in Syracuse. He started four youth programs, developed a team of businessmen to support his efforts, and identified a major sports facility that could host the youth programs. After two years, at age 19, he decided to return home to work on the family farm while continuing his apostolate. However, God had a different plan for Brian. The day he was to start work, May 1, 1996, he had exploratory surgery to find the cause of continuous sinus infections and severe headaches. The surgery revealed a tumor in his sinuses. This was the beginning of his two-year struggle with cancer. “I want it removed”, said Brian. Throughout his illness he continued to develop a plan to establish boys’ youth programs called “Conquest” that would bring together fun and formation and bring youth closer to his friend Jesus Christ. He encountered many frustrations in his early efforts, but through them he became convinced that a simple starter program was needed, to get boys involved at a younger age, one that would allow fathers to work with the boys and would invite younger boys to participate in the program. This led to the later concept of the first Conquest Junior Program. 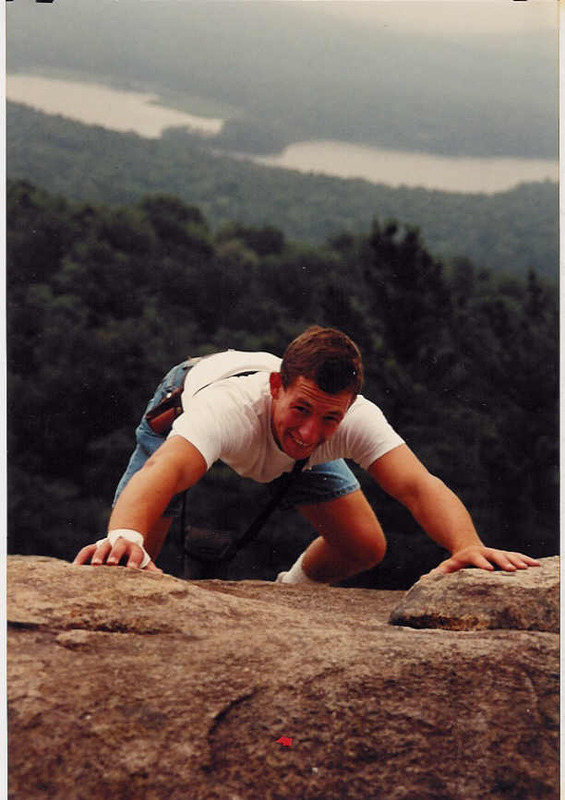 Brian had a vision of making Conquest into an institutionalized youth program that could be spread across North America and beyond, to bring thousands of youth closer to Christ through fun, formation and apostolate. He offered all of his many struggles and sufferings with cancer for this vision. He did not live long enough to see it fulfilled, and was born into eternity on February 10, 1998 at the young age of 21. His father, Jack Bisgrove, picked up the torch and helped form a team to institutionalize Conquest and make it into a formal youth program that could be spread far and wide. The Conquest national team today believes that through all of Brian’s suffering that he offered up for the boys and dads of Conquest, bountiful graces are still being received today. Our Conquest national team and staff are made up of professional, dedicated parents, volunteers, teachers, youth ministers, brothers and priests who want to help you be successful in your work to bring these boys/young men closer to Christ and willing to serve the world around them. Prepare to be developed spiritually while learning important leadership skills: self-discipline, responsibility, perseverance, and team work. Experience the spiritual side of camp through daily Mass, Gospel reflections, spiritual guidance, confession and personal time with Christ. Our Conquest Summer Camps are for young men in 5th – 12th grade. Sign up for a world of fun and adventure this summer at one of our many Conquest leadership camps. Go farther than you thought you could! Are you ready? Conquest & Challenge offer parents, schools and parishes with methods, material, and training to help boys and girls grow in their faith and serve others. Our method combines different elements that together make our program unique and effective: Team Based and Teen Led; Service Driven, Virtue Centered; Age Specific; Flexible and ready to use; relevant and fun; 100% Catholic and gender specific. The materials and guidebooks are intuitive, but we also offer online training modules for adult leaders and team “teen” leaders. ECyD stands for: Experiences, Convictions, and your Decisions. ECYD is an international Catholic association of adolescents who make a pledge of friendship with Christ and with each other to build up a new world according to the Gospel. ECYD shares Regnum Christi spirituality adapted to adolescents.